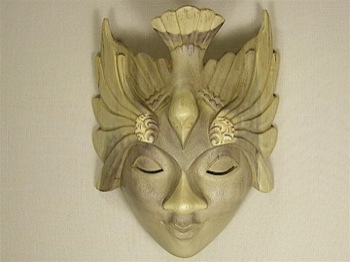 Wide smooth mask, bird is perched on head while wings spread over temples. Handcarved of hibiscus wood. Made in Bali, 11x10 inches.